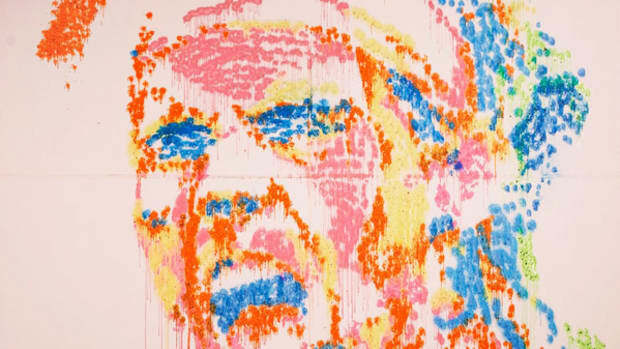 Here&apos;s what Rafael Nadal -- the reigning tournament champ and no. 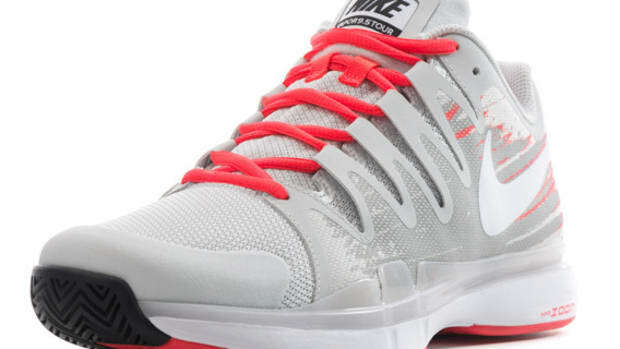 1 tennis player in the world -- will be wearing when he takes to the court at the 2014 French Open. 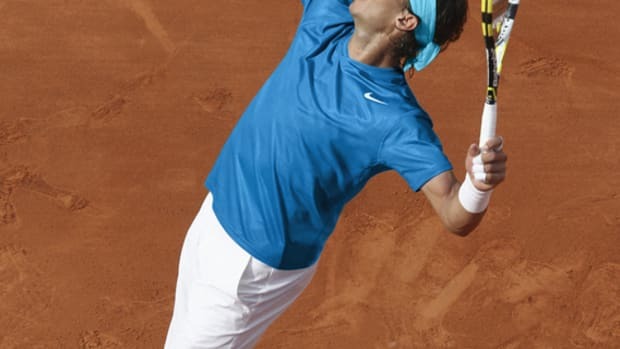 As fans know, Nadal has won at Roland Garros more than any other male player, claiming the tournament trophy every year but one since 2005. 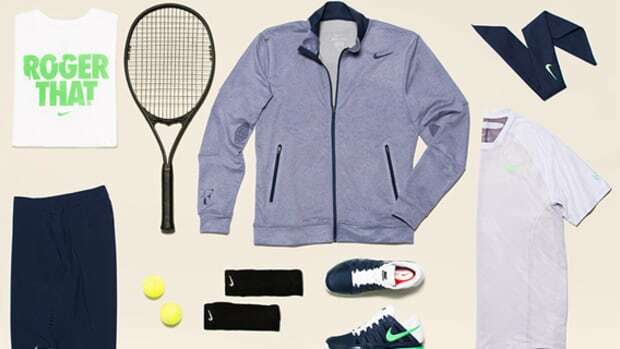 Nike is helping Nadal in his pursuit for another trophy with a collection shot through with Polarized Blue, chosen as a high-visibility contrasting hue against the clay surfaces of Roland Garros. 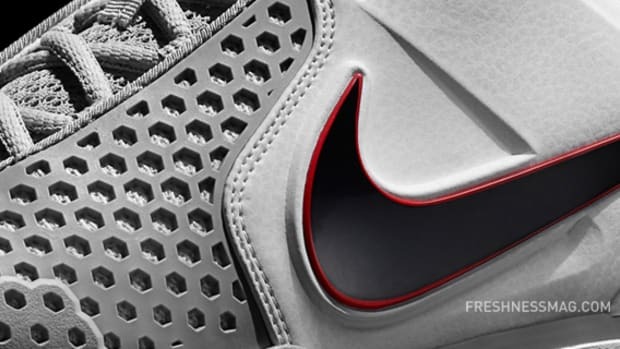 The distinct coloring finishes the Nike Lunar Ballistec, featuring Lunarlon cushioning for ultra-lightweight speed and control, as well as key apparel pieces. 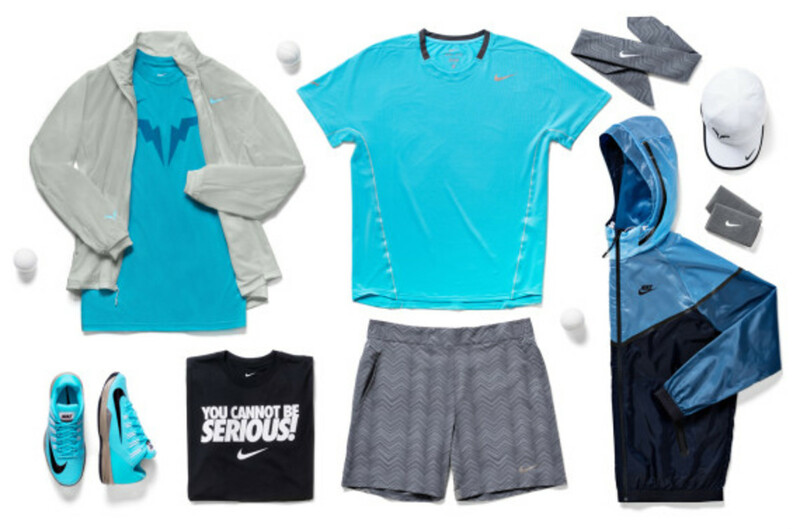 They include the Premier Rafa Crew, Premier Rafa Jacket and Gladiator Premier 7-inch Short, all built with moisture-wicking Nike Dri-FIT. 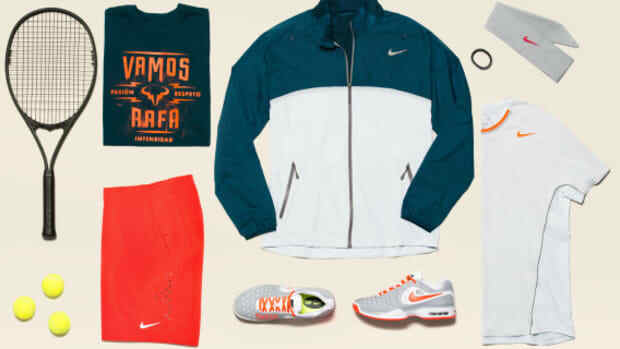 Look for Nadal to sport the pieces from his exclusive collection when the French Open kicks off on May 25.